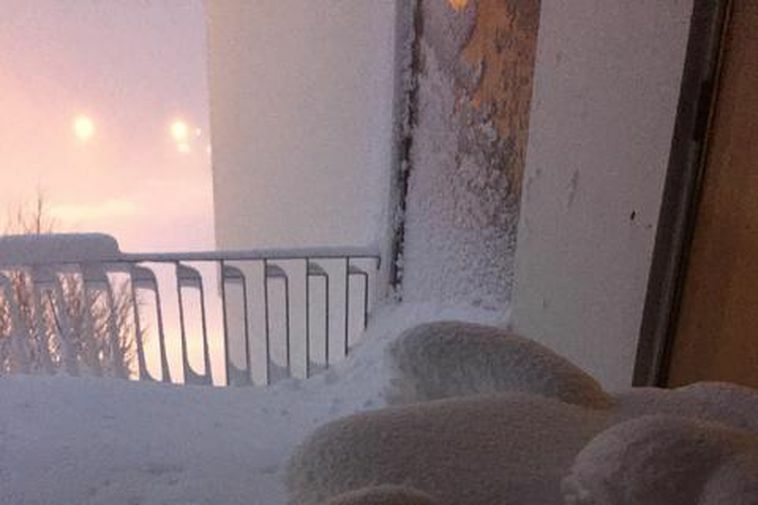 All schools are closed in Patreksfjörður in the West Fjords due to heavy snowfall last night. An avalanche alert is still on in the small town. "We're totally snowed in," says director of the town council Ásthildur Sturludóttir. "My husband was going to drive me to work but the car is completely covered in snow. My husband helped me get down to Aðalstræti and there I found a policeman who drove me to work. I am tall but the snow reached up to my waist." The snow was very wet and heavy making it difficult to traverse. "This is going to be complicated to clear," she said to mbl.is. "The schools are all closed today and most people are just at home. The visibility outside is bad and only the really big jeeps can get around."